The UFC stops in the Music City, Nashville, Tennessee for Fight Night 148! The highlight will be aerobic beast, Stephen Thompson, taking on UFC veteran, Anthony Pettis. Here are the Palmerbet Teams tips & preview for UFC Fight Night 148. Analysis: Stephen Thompson’s UFC window is rattling. Since losing a title shot in 2016 against Tyron Woodley, his there or thereabout form has kept him relevant, but not threatening. His last 5 fights have all gone the distance, with 2 wins, 2 losses and a draw. He needs to find weaponry and fast! This will be the fourth time Anthony Pettis has headlined a UFC event. His back catalog is a who’s who of fighters; Poirer, Holloway, Ferguson. Unfortunately he’s lost to them all. In fact he’s lost 6 of his last 9 fights, yet still headlines a UFC event? He must look really good in training! Admittedly, he’s got quite a well rounded game but its reliant on his submissions these days with 4 out of his last 5 coming this way. Thompson is firm favourite. Pettis looks to be out classed and hasn’t gone more than three rounds since 2015. Analysis: The Main Event may not look like one for the highlight reel, but a couple of massive dudes, unloading haymakers as they gas out is what UFC is all about! Curtis Blaydes is a beast. Ranked 4th he’s fought some big men with big names. Overeem, Hunt and his career blocker Francis Ngannou. Close to a title shot, his second loss to Ngannou at Fight Night 141 was quick and sleepy in the first minute. He’ll need to win this one and win it well to keep himself in contention. Blaydes has the knockout game. He’s even got a submission game, but its been missing for quite a while. He’s a punch and get punched fighter. If he can eat some to open up Willis, he’ll take his chance. Justin Willis is the Number 10 ranked Heavyweight who arrived in the UFC full of hype. That hype is currently unfulfilled as Willis struggles to transfer his knockout game into the big time. Its rare for big men to go the distance, but Willis does have an impressive tank. If he can avoid Blaydes, he’ll stand a chance. Analysis: Makdessi v Pinedo continues a fight card that looks to be a host of one sided fights. Makdessi on the way back after losing three of his four fights at UFC main events. An inability to end fights continues to haunt Makdessi’s career with four of his last 5 going to decision, the other copping a Spinning Wheel Kick to be KO’d. Yet to win by submission, he’ll rely on his tank and superior punch/significant strike rate. Pinedo meanwhile will be taking his second UFC fight, after tearing apart the lower leagues with submissions and KO’s. 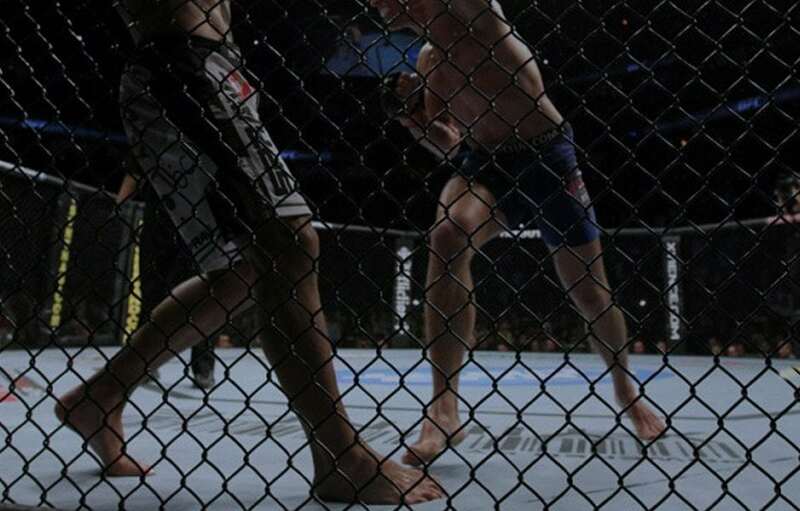 The step up in class was noticeable at UFC Fight Night 140 as he took a Unanimous decision without being dominant. His game is full of variety, with strong takedowns and ground work being his strength. But he’s still new to the UFC. Makdessi is a bit of a yawn fest to be honest. We’re excited to see what Pinedo can bring now he’s got a taste of the UFC. His odds are VERY strong. Analysis: If you ran into Bryce Mitchell on the street, you’d expect him to be on his way to a job as a Barista. But then you hear he’s nickname (“Thug Nasty”) and think maybe he’s a Sound Cloud rapper. Before long you realise he is a legitimate, Ju Jitsu superstar that pounces like a cat any time you show any portion of your back and bang, he’s got you. Undefeated, 8 out 10 by submission, 7 by choke. Wow. Any doubts about his tank also dismissed with the last two going the distance. Its clear what the UFC wants from this one. A technical masterclass in choking out! Mitchell is world class, but so is Bobby Moffet. So world class that his last three wins have all come via submission and even rarer, all three from the rarely seen Brabo Choke. Its worth googling. Nailing three winning chokes from top mount in a row is unheard of. Both fighters will be better for the experience, both will have incredible technique to offer both in defence and offence and we expect that this will not go the distance. We’re happy to back the underdog here to continue his unbeaten record. Get up Thug Nasty!